I've learned that people will forget what you said, people will forget what you did, but people will not forget how you made them feel. Margaret Ann Pritchard, Certified Corporate Etiquette and Protocol Consultant, is an industry leader, accomplished speaker, and owner of Manners and Protocol, LLC - a company specializing in leadership development and business etiquette training. Her clients range from high school and college students to Fortune 500 companies. Her unique style and powerful presentations are recognized for her world class enthusiasm, her straightforward approach, and her professionalism. You will laugh and you will learn. Results will be immediate, positive, and long-lasting. 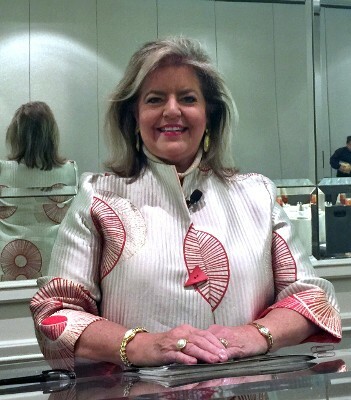 As an etiquette professional, she has been featured on television, radio, and quoted in numerous publications nationwide. She received her Bachelor of Arts and Master of Science degrees from Vanderbilt University. She has been certified as a Corporate, International, and Children’s Etiquette Consultant by the prestigious Protocol School of Washington. She is as southern as a magnolia and as tenacious as a bulldog. Develop the social skills of your team with our etiquette training, presentations, and seminars. As the owner/operator of MANNERS AND PROTOCOL, LLC, Margaret Ann helps enhance your team's leadership, relationship, communication, dining, and relationship skills. Covering numerous topics, she gives employees and students the tools to build self-confidence, social skills, and a positive image to achieve professional success. Your employees build a positive professional brand for themselves and for the company.